Castel & Goodrich: "Bloody Bill Anderson"
Bloody Bill Anderson is not a full biography of the famous guerrilla, but rather an intense blow by blow account of the bloody swath cut by his bushwhacker band through north central Missouri in 1863-64. The relatively short--yet tightly focused and highly detailed--manuscript is much more chronicle (and a grisly one at that) than analysis; but I don't view that as a flaw in this case. Other works in the literature examine the guerrilla war in various contexts (motivations, psychology, etc. ), but no other book has recounted Anderson's Civil War career as thoroughly and as explicitly as this one. The centerpiece is a tense almost minute-by-minute account of the infamous September 27, 1864 Centralia massacre and battle. The relative effectiveness of each side's arms and tactics is frightfully apparent. Also, the detailed narrative of the guerrilla force's consequent attempt to elude other vengeful state militia units converging on the scene provides a good example of the techniques used by the irregulars to avoid mass capture when finally brought to bay. In the preface, authors Castel and Goodrich admit that they approach the Missouri guerrilla war from a slightly different perspective. Relatively speaking, one is more understanding of the bushwhacker bands than the other [if you've read the previous works of both authors you can pretty much figure it out]. One might expect problems to arise from this, but the authorial tug and pull is integrated into the text quite seamlessly. Importantly, it should be mentioned that the actual atrocities committed are uniformly condemned and certainly not excused or rationalized in any way. The writing style itself deserves some mention. With many descriptive passages, a degree of novelistic flourish not often found in non-fiction works is present. Some reviewers have found fault with this, but I found the narrative to be refreshingly well written and don't believe the stylistic flair took excessive liberties in this particular case. Although Bloody Bill Anderson has no formal bibliography, the authors did include a wonderful bibliographic essay that should not be missed. As Castel and Goodrich maintain, perhaps the greatest obstacle to writing objective histories of the Missouri guerrilla conflict is the absence of bushwhacker diaries, letters, and official reports. Guerrilla memoirs exist, but they are all too often unreliable (according to the authors, the best published memoir is John McCorckle's Three Years With Quantrell). This leaves researchers to rely upon Federal reports, local histories, and newspaper articles. In fact, several chapters of the book, especially those passages dealing with guerrilla movements post-Centralia, would have been impossible to write without U.S. sergeant (and Centralia prisoner) Thomas Goodman's A Thrilling Record. As a general service to those readers wishing to delve deeper into the matter at hand, I wish more non-fiction works would include an essay critiquing the major source materials. Brutally honest in its depiction of the savage violence of Missouri's guerrilla conflict, Bloody Bill Anderson is an important addition to the literature of the 'uncivil' war. It belongs on the bookshelf of any serious student interested in the subject and is heartily recommended. The Battle of Richmond, Kentucky by Kenneth Hafendorfer. The Battle of Lynchburg by L. VanLoan Naisawald. The Civil War in the Big Sandy Valley of Kentucky by John David Preston. Wayne County, West Virginia in the Civil War by Jack Dickinson. The Civil War in Buchanan and Wise County, Virginia by Jeffrey Weaver. Battle of McDowell by Richard L. Armstrong. Campaign for Atlanta by William Scaife. I was especially gratified in finding a used copy of Preston's book. It is long out of print and very difficult to obtain on the secondary market. The Dickinson and Weaver books were also recommended to me by a Big Sandy researcher whose opinion I respect. BTW, while on the same subject, another very lengthy comment was posted in response to my review of Brian McKnight's Contested Borderland. I thought I'd mention it as the correspondent put so much time and effort into it and the regular readers might not revisit the older post. As a further aside, I read and appreciate every comment made here and do not want to see anyone who takes the time to write to be frustrated with comments not "taking". A couple recent visitors attempting to post very long comments have noted that it took several tries over several days for it to finally be accepted. The only common thread I could discover is length, so my advice would be to break up very long comments into smaller pieces. You might have better luck that way. One of the great byproducts of studying the early campaigns in Missouri is the gaining of a proper appreciation for the critical role of Germans in the Trans-Mississippi West. 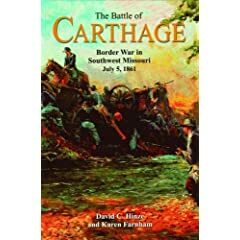 See The Battle of Carthage: Border War in Southwest Missouri, July 5, 1861 , Wilson's Creek: The Second Battle of the Civil War and the Men Who Fought It , and Pea Ridge: Civil War Campaign in the West for a window into the military contributions of Germans in the Trans-Mississippi theater, especially their central role in the securing of Missouri for the Union. I've previously written about Robert Owens' 1989 work Hier Snackt Wi Plattdeutsch, which, in addition to a cultural history of Low Germans in Missouri, has a few great chapters on the Civil War, most particularly the 1861 fight at Cole Camp. Finally, the structural changes to the political landscape of Missouri due largely to a large and rapid influx of German immigrants are traced in Louis Gerteis' Civil War St. Louis. University of Oklahoma Press is also publishing a memoir later on this year (mentioned here earlier) titled Marching with the First Nebraska: A Civil War Diary. 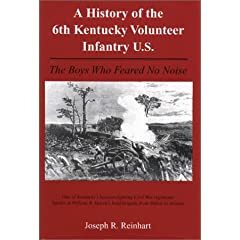 Author Joe Reinhart's growing body of work deals with the Western theater, researching the contributions of Germans in two regiments, the 6th Kentucky and the 32nd Indiana: A History of the 6th Kentucky Volunteer Infanty U.S.: The Boys Who Feared No Noise , Two Germans in the Civil War: The Diary of John Daeuble and the Letters of Gottfried Rentschler, 6th Kentucky Volunteer Infantry , and most recently August Willich's Gallant Dutchmen: Civil War Letters from the 32nd Indiana Infantry . Reinhart was a recent guest on Civil War Talk Radio. I was pleased with the detailed discussion of Rowlett's Station, a subject covered in depth in the 32nd Indiana book. Apparently, Reinhart has also put together the most detailed map of that engagement to date. 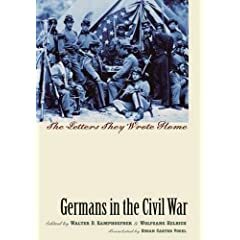 University of North Carolina Press published Germans in the Civil War: The Letters They Wrote Home in 2002 as part of their Civil War America series. Another recently published regimental history is Donald Allendorf's Long Road to Liberty: The Odyssey of a German Regiment in the Yankee Army : the 15th Missouri Volunteer Infantry (Kent State Univ. Press, 2006. Hardcover, maps, notes, bibliography. 364pp). I haven't seen this one yet or read any reviews, but this highly distinguished unit certainly is deserving of a good modern regimental history. The Kansas Collection website provides a searchable database of complete online books, articles, diaries, letters, etc. I haven't had a chance to delve deeply, but it looks like a good resource for Bleeding Kansas and Civil War research. Check it out. McBride: "Opothleyaholo and the Loyal Muskogee"
With the withdrawal of U.S. garrisons from Texas and the Indian Territory, Indians choosing to honor their ties to the Federal government came under increasing pressure from those joining forces with the Confederacy. When Confederate Indians were joined by white regiments from Texas and Arkansas, the position of the 'loyal' Indian groups became entirely untenable. They were forced to leave. Beginning in November 1861, Opothleyaholo (O-Be-thle-ya-ho-la), an aged Muskogee (Creek) leader led nearly 9,000 men, women, and children north to Kansas, fighting three battles along the way. By some estimates, 2,000 persons died on the trek, and persistently poor living conditions once Kansas was reached led to more sickness and death. Upon finishing Opothleyaholo and the Loyal Muskogee: Their Flight to Kansas in the Civil War (McFarland, 2000), I wasn't terribly keen on writing about it, but since it was referenced in an earlier reading list I feel obligated to cover it. This particular episode has been recounted before in Now The Wolf Has Come: The Creek Nation in the Civil War by Christine Schultz White and Benton R. White (Texas A & M University Press, 1996). Kim Allen Scott's H-Net review sums up well the worth of the Whites's book, and McBride's book is similarly disappointing. Much of Opothleyaholo is an overly harsh polemic against the U.S. government and the culture of its citizens. Many of the criticisms made in the book are valid under specific contexts, but issues of Indian-white relations are all to often generalized. Arguments are framed in black and white with little of the nuance that would be uncovered by wider and deeper research or more thoughtful contemplation. For readers interested mainly in the Civil War period, the book's last third covers the flight to southern Kansas and the battles of Round Mountain, Chustenalah, and Chusto-Talasah. Military detail is compressed, with only a couple paragraphs devoted to each battle. Additionally, with no maps included, these events and the route of the trek itself is difficult to follow. The two Indian Expeditions undertaken by Union forces in 1862 are also briefly summarized. The book concludes with a discussion of the plight of the loyal Indians exiled to Kansas and attempts to organize them into fighting units. We don't have one yet, but this remarkable and understudied human tragedy of the Civil War truly deserves a full scholarly treatment. The Dakota War: The United States Army Versus the Sioux, 1862–1865 by Micheal Clodfelter (I'm not sure if the hardback edition I purchased is still in print, the publisher's website lists only the softcover one). 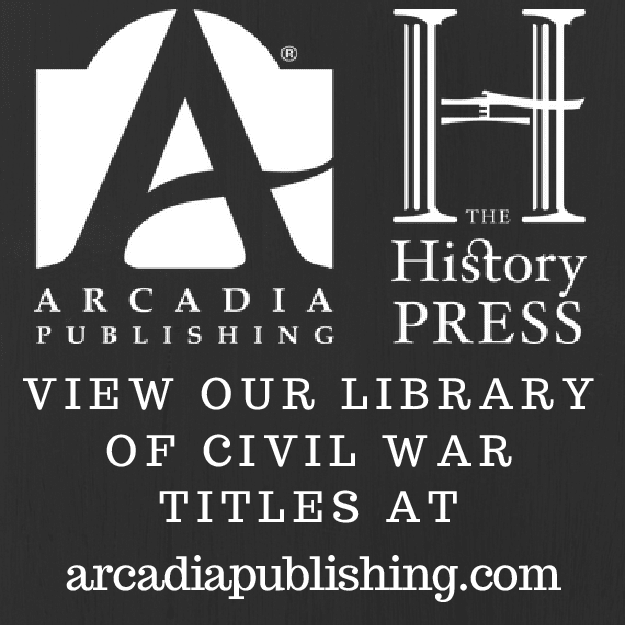 Guerrilla Warfare in Civil War Missouri: Volume II, 1863 by Bruce Nichols. 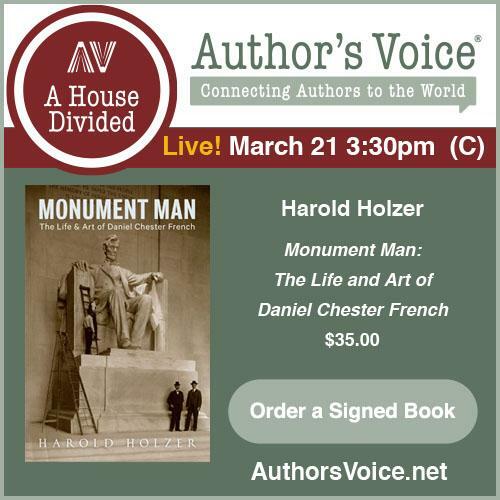 The Battle of Hanover Court House: Turning Point of the Peninsula Campaign, May 27, 1862 by Michael C. Hardy. I recently added to the sidebar historical journals that had a fair amount of interesting Civil War content [Or at least I thought they all did--I looked through the 'previous issues' page of the Journal of South Texas and found only one CW-related article. It looked very good, however, so I ILL'd it.] and wanted to mention which ones actually had full articles available to view online or download. Kansas Historical Quarterly has their articles transcribed (not scanned) and presented in a very eye pleasing format. Kansas History also has some articles online. The Chronicles of Oklahoma has many articles dealing with the Civil War in the Indian Territory. So far only volumes 1-20 are available. They are also transcribed, but I am not sure yet how much Civil War content is in these 1921-1942 volumes. Pdf files of back issues of Ohio Valley History are available. There is an interesting article by Brian McKnight about Humphrey Marshall in there (see vol. 5, no. 3), kind of an introduction to his book Contested Borderland. West Virginia History has the text from volumes published from 1990-97 online. Wittenberg: "The Battle of Monroe's Crossroads and the Civil War's Final Campaign"
On March 10, 1865, a great cavalry battle was fought at a muddy, nondescript intersection west of Fayetteville, North Carolina. Initially routed by a dawn surprise assault by three divisions of Wade Hampton’s Confederate cavalry, two brigades of Federal cavalry under the command of Hugh Judson Kilpatrick soon rallied and drove the rebel horsemen from the field. Although a clear Union tactical victory, author Eric Wittenberg argues that the battle was also a significant Confederate success as it was crucial in allowing General William J. Hardee’s infantry corps to escape across the Cape Fear River unscathed. Grounded in original research of a high order, The Battle of Monroe’s Crossroads is a skillfully organized and well-written campaign and battle history. Wittenberg’s work both reinforces and fills in gaps left behind by other recent historians of Sherman’s Carolinas campaign. His work augmented by dozens of detailed maps, the author has pieced together an excellent operational history of the campaign’s mounted operations and his discussion of the battle itself can confidently be termed definitive. Although an informed reader can reasonably quibble with the degree of importance the book assigns to the battle, its conclusions are based on a sound analysis of the evidence. Criticism of the command leadership from both sides is evenhanded. Rightly chastised for not properly picketing his camp, Kilpatrick is given proper due for his well-executed counterattack that drove the enemy from the field. As is made clear, the “shirttail skedaddle” is only part of the story. For his part, Hampton did not adequately guard his own rear during the night and his command’s pre-battle terrain reconnaissance was poor, a major factor in his eventual defeat. The author and Savas Beatie are to be commended for the inclusion of so many fine maps, the paucity of which is a major failing in so much Civil War publishing today. Not only are troop movements traced, but terrain features of all kinds and elevation lines are included. The battlefield of Monroe’s Crossroads is visually recreated in painstaking detail. It’s an impressive effort. Even though the text and visual aids leave precious little cause for complaint, the number of typos are a few too many to escape comment. Additionally, confusion does arise in places where the operational maps and text do not match, but these are minor distractions, usually having to do with units far from the main action. None of these flaws materially detract from the value of the book. Monroe’s Crossroads is stirring history that’s meticulously researched, with conclusions that are boldly stated yet always supported. 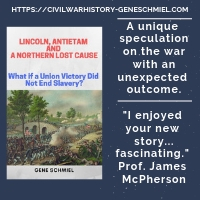 Students of mounted warfare and those readers interested in the final desperate months of the Civil War should reserve a space on their bookshelf for this groundbreaking campaign history. I recently sought out some advice on Civil War in the Indian Territory histories (I don't know if the guys want to be named but you can read the thread for yourself at Indian Territory in the Civil War message board - start with the one discussing the battles of Chusto-Talasah and Chustenalah). Although there are some fine bits and pieces scattered around in journal articles and books, it appears my hunch was essentially correct that a scholarly, thorough, book length history of the war in the IT 1861-65 doesn't exist. As with other military figures who continue to receive a disproportionate amount of attention (i.e. Chamberlain at Gettysburg), Stand Watie appears to be 'that guy' for the IT. Me, I have a soft spot for Chilly McIntosh--love that name. I did get some opinions about a few books from a couple helpful avocational researchers. Although I don't feel the need to read one, it struck me that no one mentioned any of the many Albert Pike biographies. Overall, the general lack of impressive books really attests to the scholarly void for the region. The American Indian As Participant in the Civil War by Annie Abel. The American Indian in the Civil War, 1862-1865 by Annie Abel. The American Indian and the End of the Confederacy 1863-1866 by Annie Abel. comment: I've only glanced through Abel's many books, which look to have more breadth than detail. The Civil War on the Border (2 vols) by Wiley Britton. The Union Indian Brigade in the Civil War by Wiley Britton. comment: These are valuable accounts by a participant who also consulted other contemporaries and official records. Red Fox: Stand Watie and the Confederate Indian Nations During the Civil War Years in Indian Territory by Wilfred Knight. The Civil War in the Indian Territory by Donald L. Rampp and Larry C. Rampp. comment: I've been told Rampp covers the whole war, but isn't detailed. I'm reading Knight now. The consensus appears to be that, in relative terms, this is one of the better books covering military operations (and is thankfully less of a Watie worshipping work than some others). I was advised beforehand that Knight's work was far from perfect, but the errors and questionable assessments I found in the material I was most familiar with--the books first half--further attests to the need for modern scholarly attention to the IT. The Prairie Was on Fire: Eyewitness Accounts of the Civil War in the Indian Territory by Whit Edwards. The Confederate Cherokees: John Drew's Regiment of Mounted Rifles by W. Craig Gaines. Embattled Arkansas by Michael Banasik. Clarkson's Battalion (review) by David Haimerl. comment: Both Banasik and Haimerl have very good material on units and 1862 operations. Banasik provides detailed accounts of the 1st and 2nd Indian Expeditions. Brilliant victory: The second Civil War battle of Cabin Creek, Indian Territory, September 19, 1864 by Steven L. Warren. Etter: "The Indiana Legion: A Civil War Militia"
The Indiana Legion was a multipurpose militia organization. It provided internal security, intelligence gathering, guards for POW camps, and a ready force for repelling Confederate raids into the state. Based largely on the Indiana Legion Collection of the state's archives, author John Etter provides us with a fine introduction to the legion. Etter begins by outlining the legislative debates over how the Indiana Legion was to be organized and how it was to be used. There were justifiable fears that it would largely be used as a tool to suppress legitimate political dissent. Indeed, it did have a role in quelling internal unrest in response to the draft. Copperheads and suspected members of groups such as the Sons of Liberty were also arrested by legion members. The author then moves on to recount the myriad of problems in organizing, training, funding, and officering such a large statewide organization. Numerous letters to and from the local militia leaders to the central authority detailing these concerns are provided. Intelligence gathering and combat operations were performed on both sides of the Ohio River. Contrary to most militias, which generally avoided crossing state borders, the Legion frequently crossed over into Kentucky to assist Union forces in that state. They figured prominently in the fights at Panther Creek, Owensboro, and Henderson. At home, the Legion also opposed Confederate raiders under John Hunt Morgan and Adam R. Johnson. Etter credits the militiamen with largely containing Morgan in 1863. [Aside: For a great history of Johnson's Newburgh raid see Ray Mulesky's Thunder from a Clear Sky: Stovepipe Johnson's Confederate Raid on Newburgh, Indiana ]. Several battle reports from the Legion records collection are included in the text in their entirety. The book concludes with an interesting chapter dealing with how the Legion was perceived by both friends and enemies. The Indiana Legion is author John Etter's 2003 Master's thesis from Butler University. The manuscript has few editorial flaws, the most noticeable is the extensive listing of Legion companies by county (they are mistakenly labeled as regiments). Although fully footnoted, the bibliography was omitted. Also, an unfortunate decision was made to include no maps. The book isn't a definitive study, nor is it meant to be. Based on primary source material, it is a brief yet comprehensive overview history of a little studied state militia organization that nevertheless made real contributions to the Union war effort. McKenzie: "Lincolnites and Rebels: A Divided Town in the American Civil War"
Although the city of Knoxville, Tennessee is generally thought of as a bastion of Unionism during the Civil War years, the vote to determine whether or not the state would sever its bonds with the U.S. was actually split down the middle there. In his book Lincolnites and Rebels, historian Robert McKenzie provides us with the first modern book-length scholarly study that focuses exclusively on the divided citizenry of Knoxville. The author's carefully nuanced approach to the subject, combined with excellent research and balanced analysis, makes it a very welcome addition to the literature. McKenzie's discussion of the mindset of East Tennesseans and what it really meant for them to be a Unionist is the most enlightening I've come across. Both the North and Deep South had stereotypical images of the East Tennessee citizen. Radical secessionists viewed them as uncouth, ignorant of their own self-interest, unable to perceive northern slights (i.e. lacking the traditional southern honor code), and even abolitionist in nature. Northerners, on the other hand, were presented with the image of East Tennesseans as fiercely independent, rugged unconditional Unionists who were ultra-loyal beyond all self interest. According to McKenzie, neither view is accurate. Far from having any widespread abolitionist or Republican sentiments, East Tennessee Unionists were proslavery, but rather believed the best way to preserve the institution was by remaining within the union. Conservative, old-line Whig opposition to the increasingly radical Southern Democrats was an important factor as any in the region's opposition to Deep South agitation for separation. The reader of McKenzie's book often sees the region's Unionism through the lens of the vitriolic, controversial (and quite frankly unbalanced) William G. "Parson" Brownlow. That he was the most famous and influential East Tennessee Unionist is beyond dispute, but the fact that his virulent hatred dominates so many narrative threads can be distracting at times. On the other hand, in his calm moments, Brownlow could also frame his editorial points in a very eloquent and rational manner. To the author's credit, McKenzie does bring forward contrary Unionist viewpoints and doesn't allow the Parson to speak for all. Acknowledging his innumerable character flaws, McKenzie does a balanced job of presenting Brownlow at his best and worst. Perhaps as expected, a study of the factors that might determine which citizens became 'Lincolnites' or 'Rebels' does not lead to clear, black-and-white conclusions. Although his research shows that secessionists were more likely to have white collar occupations and be wealthier, McKenzie maintains that the typical East Tennesseean of either stripe was remarkably similar--"a southern-born, nonslaveholding male of modest means" (pg. 126). You might add proslavery as well. Although class differences certainly play a role, the author argues against its primacy. Other identifiable factors include familial and religious bonds. Pre-war political partisanship was a clear determining factor for loyalty, at least for Democrats (virtually all of whom came around to supporting the Confederacy after Sumter; for Whigs it was around 50/50). The slaveholding disparity is perhaps less than expected, 17.2% among Unionist families and 24.7% among Confederates. McKenzie's study of the several hundred Knoxville families from which loyalty information could be gleaned is an important expansion of the work of previous scholars, such as Noel Fisher's broader East Tennessee work. In Lincolnites and Rebels, the experiences of Knoxville residents as they struggled to cope with first Confederate then Federal military occupation are related in great detail. Additionally, a short but useful summary of the siege of Knoxville and assault on Fort Sanders is provided. The town itself was almost continuously garrisoned throughout the war and was greatly harmed both economically and socially by the harsh wartime measures employed by the occupiers. The town struggled mightily with the newly imposed social order. On the issue of slavery, many East Tennessee Unionists were radicalized by their stint in the Federal army and no longer marched in step with the much more conservative Unionist civilians that remained in Knoxville. The book closes with a thoughtful discussion of racial issues and the violence that occurred during the waning moments of the war and in its aftermath. Lincolnites and Rebels is a must read for those wishing to gain a deeper socio-political understanding of wartime East Tennessee. We now have a great triumvirate of modern scholarly studies (this one together with Todd Groce's Mountain Rebels: East Tennessee Confederates and the Civil War, 1860-1870 and Noel Fisher's War at Every Door: Partisan Politics and Guerrilla Violence in East Tennessee, 1860-1869 ), which, if read together, will provide the reader with an up to date and fairly complete introductory education on the subject. McKnight: "Contested Borderland: The Civil War in Appalachian Kentucky and Virginia"
The Civil War in Appalachia has received a fair amount of coverage in recent years, most notably the troubled regions of East Tennessee and western North Carolina. Brian McKnight’s new book Contested Borderland provides the first comprehensive look into the conflicted areas of eastern Kentucky and southwestern Virginia. As the author recounts, the Cumberland Divide was the scene of endless cavalry raids, pitched battles, and vicious guerrilla attacks during the Civil War. The story of the regular fighting during the first half of the war is largely the story of Confederate general Humphrey Marshall. An officer often casually dismissed in the vein of a Floyd or Pillow, Marshall’s treatment here is evenhanded. The book’s coverage of military events is thorough in terms of breadth, but, as one might imagine with a book of this type, available space precludes detailed battle descriptions. Equal treatment is given to the cruel circle of violence between the army and citizens, home guards, and bushwhackers. Also, with proper recognition of the role of geography, McKnight helpfully explores the crucial importance of the mountain gaps (especially Cumberland and Pound gaps) in terms of communication and the movement of supplies and men between the two states. Some of McKnight’s best work is in introducing the reader to the mindset of the region’s populace. It’s on par with much of today’s best work researching the people of Appalachia and the ‘piney woods’ regions of other states. Extended family networks complicated regional loyalties, which tended to shift toward whichever side could provide consistent personal and economic security. The author’s examination of the social effects of the regional mass closings of schools and churches from 1862 onward is informative and his findings on the Primitive Baptist church’s influence on Confederate loyalty mirrors that of Mark Wetherington‘s recent study of Georgia’s wiregrass region. Based on approximately a hundred manuscript collections in dozens of archives and depositories, Contested Borderland is a product of extensive research in primary sources. For those interested in further reading, the introduction also serves as a nice Civil War in Appalachia historiographical essay. Flaws exist but are minor. Though well written overall, the text is repetitive in places and chronological transitions are awkward at times. The poorest choice was the inclusion of only a single, plain map of the Kentucky and Virginia counties abutting the divide. Non-local readers will need outside help tracking movements as perhaps a majority of the important points described in the text cannot be found on the map provided. However, none of the book’s flaws diminish its importance as a wide reaching and well-researched introduction to the military, social, and political history of this hotly contested border region. We should look forward to hearing more from Dr. McKnight.